Sherry began her career in public relations and communications in Boulder, Colorado writing for the local newspaper. 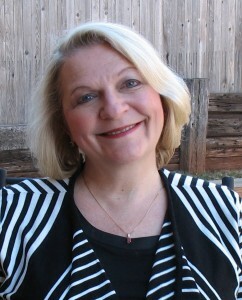 After relocating to Oklahoma City, she continued to use her talents and expertise in the areas of publishing, education, healthcare, the arts and small business and nonprofit management. She has a degree in public relations from Purdue University. After working for nearly a decade as the managing editor of a publishing company specializing in producing magazines featuring local business and civic leaders, annual chamber of commerce publications, travel publications and monthly newsletters she managed the PR and communications department at Oklahoma’s largest urban school district. At Oklahoma City Public Schools she led her staff in efforts that elevated the image of the school district so she could work with local business leaders to pass a combined local sales tax and school bond initiative that would build or renovate every school in the district. The historical MAPS for Kids effort has delivered on its promise, including the opening of an elementary school in downtown Oklahoma City. In the years prior to establishing Pen-Write Communications, Sherry led a team of dedicated professionals in revitalizing a local nonprofit arts center. Through a strategic PR plan the art center experienced increased enrollment in art classes for children and adults, increased attendance at events and increased revenue in donations, tuition and building rentals. She also established a PR and communications department for a healthcare company specializing in the management of rural hospitals. She led the effort to create individualized branding packages for several hospitals and implemented strategic PR plans to establish the hospitals and physicians as quality health care providers in their communities. She also leveraged the parent company’s 25th anniversary as an opportunity to brand it and its management team as leaders in rural health excellence. Today, Sherry works with clients to deliver PR services that help them connect with their clients and communities in an effort to elevate their brand and achieve their business goals. Sherry is also committed to being active in the local business and civic community as a volunteer because she understands the importance of community involvement and paying it forward.